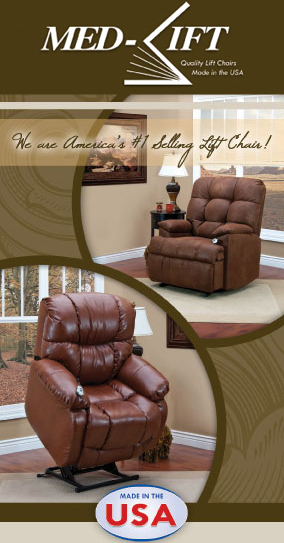 Lift chairs provide comfortable and functional seating. They are more than just a chair for relaxation, lift chairs are a place to study, work and eat. Arm storage compartments, fold out tray tables and cup holders give the functionality of an office desk or kitchen table. 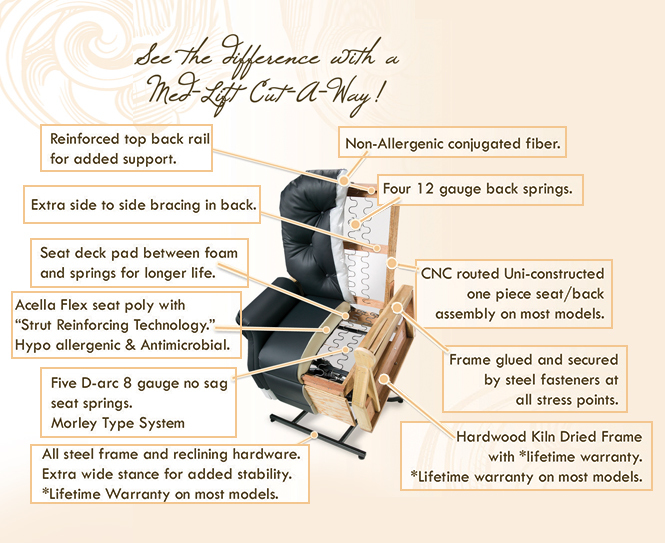 Hardwood chair frame braced, glued, gangnailed and secured with steel fasteners assures long service life.